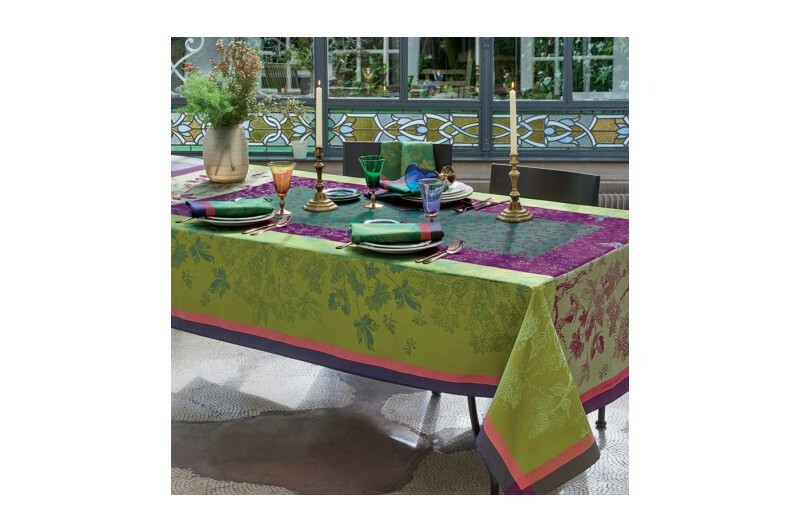 Falls symphony and poetry, the new Plaisirs d'Automne Muscat tablecloth by Garnier-Thiebaut celebrates vines and automn in green and purple tones. 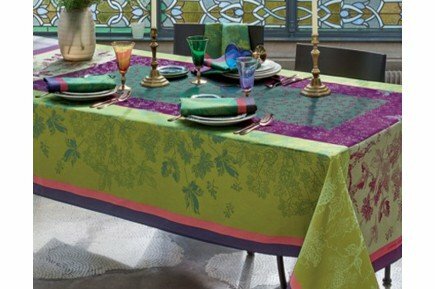 This new luxury jacquard table linen collection is made of 100% premium cotton treated with Green Sweet stain-resistant finish for easy care and long life to the linens. US CUSTOMS IMPORT DUTY OFFERED! 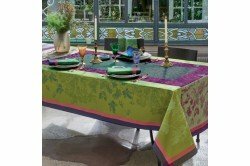 Finished with mitred corners, the Plaisirs d'Automne table linen Collection includes matching placemats, napkins and table runners. 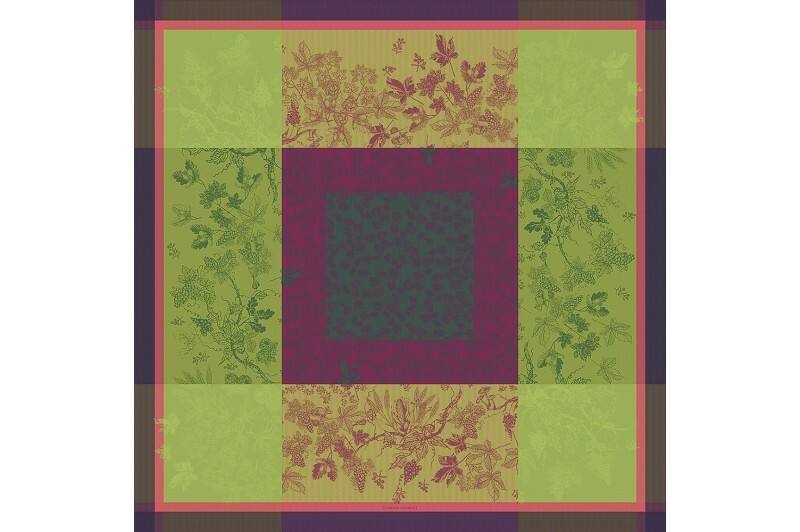 Material 100% cotton with Green Sweet stain-resistant finish. Origin 100% Made in France - Designed and manufactured by Garnier-Thiebaut in Gérardmer, Lorraine. Product Care Machine wash warm (105°F/40°C), no bleach. Tumble dry low temperature. Light ironing. Dry clean possible. Cookies ensure the proper operation of our website. By using it, you accept their use.